Hook, a Kansas City pianist who moved to New Orleans to play on the riverboats, worked with the period singers the Victory Belles at the WWII Museum and acted as musical director for the Petit Theatre’s revival of Jelly’s Last Jam. The music here is letter perfect, glistening with a professional sheen, the jumping dynamics of clever swing arrangements and an overall energy that comes from a labor of love delivered with meticulous care on all levels. 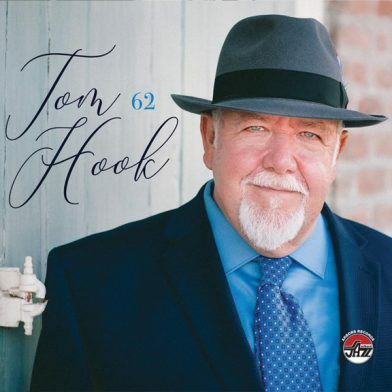 Hook shines on piano and vocals, pushing the tight rhythm section with his precision playing and creating space for rich unison passages from the horn and string sections and terrific solo turns from Wendell Brunious on trumpet and flugelhorn, Rick Trolsen on trombone and Tom Fischer on tenor saxophone.